I like to think that I’m pretty flexible when it comes to reading fantastic literature. 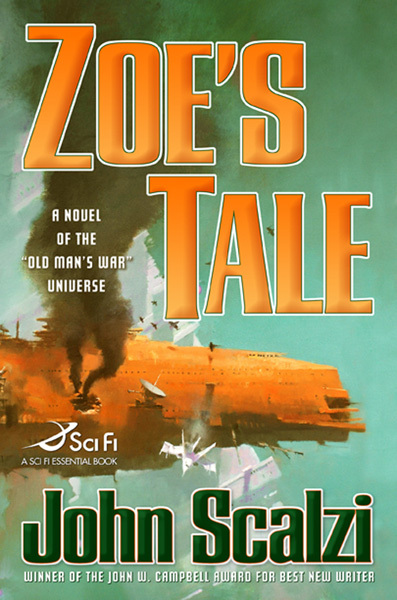 While I unreservedly prefer science fiction to other forms of the meta-genre, I frequently find enjoyment in horror, urban fantasy, magic realism, science fantasy and all of the other forms of literature that compose the fantastic. Yet, occasionally I encounter a story that leaves me feeling ambiguous towards it because while I appreciate intellectually what the author was attempting to do, it didn’t readily appeal to my reading sensibilities. 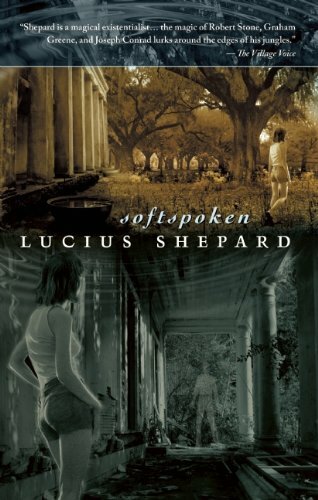 Lucius Shepard’s Softspoken is such a book. Shepard’s short novel weaves a Southern Gothic tale around Sanie Bullard, a 28-year-old housewife left pretty much to her own devices while her husband, Jackson, studies for the bar in the family’s decaying mansion in a backwoods region of South Carolina. While struggling with boredom and being cutoff from the urban lifestyle to which she’s accustomed and prefers, she starts hearing spirits in the house calling out to her and soon they begin actually appearing. Already coping poorly with her loneliness, a crumbling marriage, and the possibility that Jackson appears to be succumbing to the same mental instability that claimed his father and already seems to afflict his brother, Sanie starts struggling with her perceptions about Jackson, reality, and herself. While I enjoy stories that toy with the fringes of reality the way a kitten plays with dangling strings, there’s something about the presentation of Softspoken that didn’t fully appeal to me. However, I can appreciate why others may find it enjoyable. 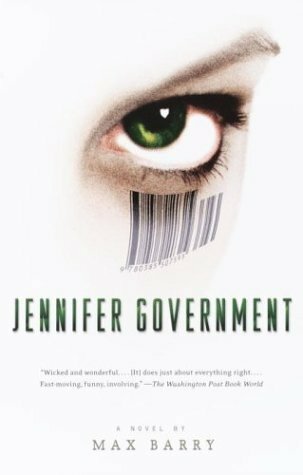 While the novel doesn’t begin and conclude in the exact same fashion, there’s a kind of Dahlgren-esque quality to the novel in the way the narrative becomes somewhat unreliable and ultimately comes full circle. This results in an ambiguous ending which leaves you questions what exactly happened during the novel’s coda. By the end of Softspoken, there are differing possibilities which explain what really happened. While I don’t mind questioning reality and our perceptions of it, I prefer a firmer foundation in the narrative – a grounding by which to form a comfortable opinion on the events contained within – than Shepherd provides in Softspoken. As a result, I found the uncertainty of the ending somewhat unsatisfying. However, those who like a multi-faceted ambiguity will certainly enjoy playing with the possibilities inferred/implied by the ending, and I will not begrudge them one minute of that enjoyment. 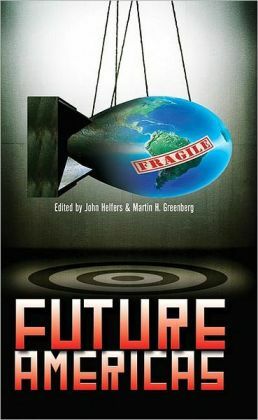 This review originally appeared in the September 2001 issue (#157) of The New York Review of Science Fiction. Most Americans are familiar with the basic details of the American space program in the 1960s and its climatic finish in beating the Soviets to the moon in July of 1969. Conversely, it’s probably safe to say that other than Sputnik, Mir, and putting the first man in space, most Americans couldn’t tell you much about the Soviet program as a whole, if anything at all. In fact, the closely-guarded press of the Soviet Union made sure that they only reported the details highlighting the successes of the program. As a result, most Americans lack the capability to tell you why NASA succeeded in its goal of putting a man by the end of the decade and why the Soviets never actually made it there despite strenuous efforts. 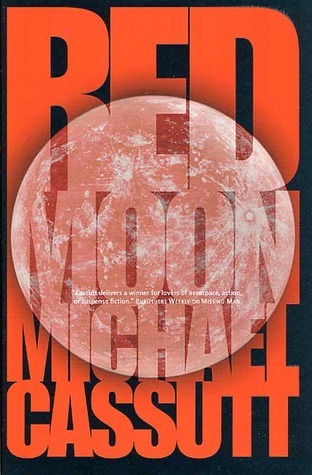 However, thanks to accomplished historian Michael Cassutt, who has written and compiled the three editions of Who’s Who in Space and is also a regular columnist for the Science Fiction Weekly webzine, we now have a highly engaging fictionalized account of the Soviet space program in the 1960s and their ultimate failure in beating the Americans to the moon.